Hyderabad, Aug 10, 2018 : A petition has been filed against All India Majlis-e-Ittehadul Muslimeen (AIMIM) chief Asaduddin Owaisi for alleged `communal statements’ at a rally in Hyderabad on August 5. Referring to the Gurugram incident where a Muslim youth’s beard was forcibly shaved off, the Hyderabad MP had said that ’those indulging in such tyranny and injustice’ will be brought into the fold of Islam and made to keep a beard. He further threatened to convert the accused "to Islam". “Muslim man`s beard was shaved off. Those who did it, I am telling them and their fathers, even if you slit our throat, we`ll be Muslims. We will convert you to Islam and will make you keep a beard,” he said, as reported by ANI. Unidentified persons allegedly shaved off a Muslim youth’s beard in Sector 29 Gurugram on August 2. The youth entered into a verbal fight with a couple of unknown persons inside a salon. Following the altercation, the group forcibly cut off his beard. A petition has been filed before the Additional Chief Metropolitan Magistrate in Kolkata’s Bankshall Court under section 153A/295A of the Indian Penal Code. 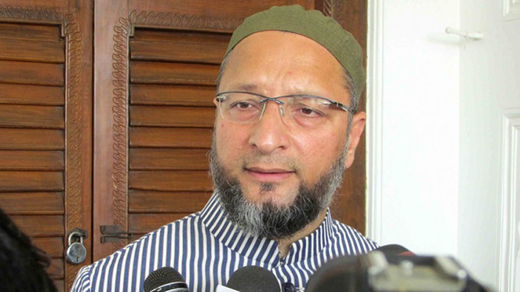 Owaisi has been summoned before the court on September 1. The Hyderabad MP also alleged that attacks on Muslim minorities have increased ever since the NDA government came to power at the Centre. He also referred to the lynching of Akbar Khan at Alwar in Rajasthan by cow vigilantes. "It means death is justified.... What the Prime Minister of India says... ’sab ka saath, sab ka vikas’. "Prime Minister, we are killed in the name of the cow. Since you became Prime Minister, India’s Muslims are being killed in the name of the cow. Since you became Prime Minister, false allegations are being levelled against us that we smuggle cows," he had said. "Those who are attacking us in the name of cow, you are not killing us, but you are weakening India," he said. His comments drew a sharp reaction from several counters.